Shop Local and Support Small Business which supports your local economy! When you spend a dollar at a small business, .68 cents of that dollar stay in the community where employees live, eat and play. That is huge for a town such as Wilmington. Shopping local is important! 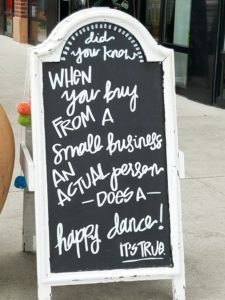 Additionally, Small Business owners are more likely to support the community non-profits while respecting and nourishing the quality of life found in small towns such as ours. So it’s true. 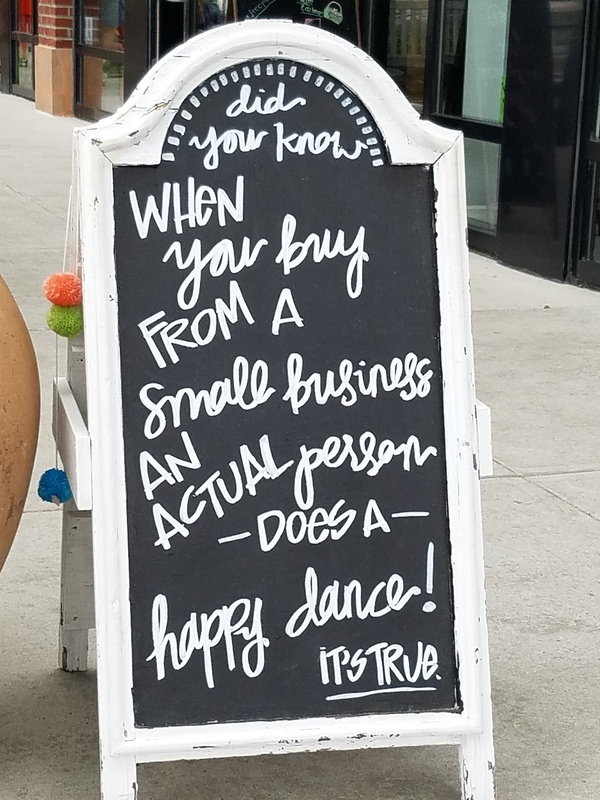 When you buy from a small business, someone does a happy dance. At Your Computer Friends, it may be a few somebodies. We thank you for your many years of support! Shop local, shop with us! ← HomeAdvisor Computer Repair – why they may NOT go together!